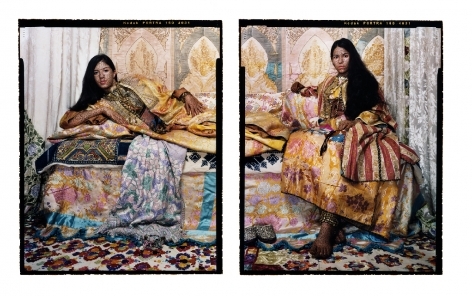 Lalla Essaydi was born in Morocco in 1956 and received a Master of Fine Arts degree from the School of the Museum of Fine Arts at Tufts University in Massachusetts. She has exhibited her work across the globe, including at the Asian Civilisations Museum and the National Museum of Singapore; the Los Angeles County Museum of Art and The San Diego Museum of Art, California; The Museum of Fine Arts, Boston; and the Smithsonian Institution’s Museum of African Art and the National Museum of Women in the Arts, Washington D.C. Her work is in numerous permanent collections, including the Asian Civilisations Museum, Singapore; Musée du Louvre, Paris; the British Museum, London; the National Museum of African Art, Smithsonian Institution, Washington, D.C.; the Art Institute of Chicago; the Brooklyn Museum of Art; the Los Angeles County Museum of Art; the Museum of Fine Arts, Houston; and the Mathaf: Arab Museum of Modern Art, Doha. 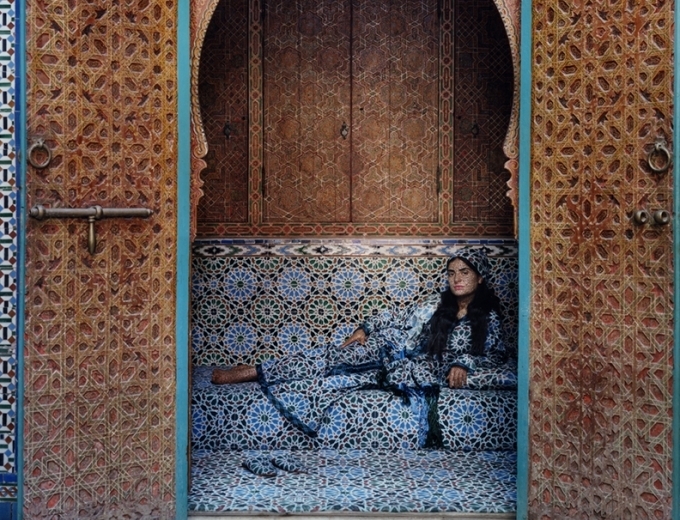 She divides her time between New York, Boston and Marrakesh.